David Bowie announced today that Parlophone is releasing a limited edition 40th anniversary "Rebel Rebel" 7" picture disc. The A-side features the original single mix of "Rebel Rebel" which has been unavailable on vinyl single since the 80s (never released on cd), and the AA-side is a remixed edit of the US version of the single. The photographs on the disc were taken of Bowie while in Amsterdam promoting the single and recording the "Rebel Rebel" video for Dutch television in February 1974. "Rebel Rebel" originally was released in 1974 on Diamond Dogs. 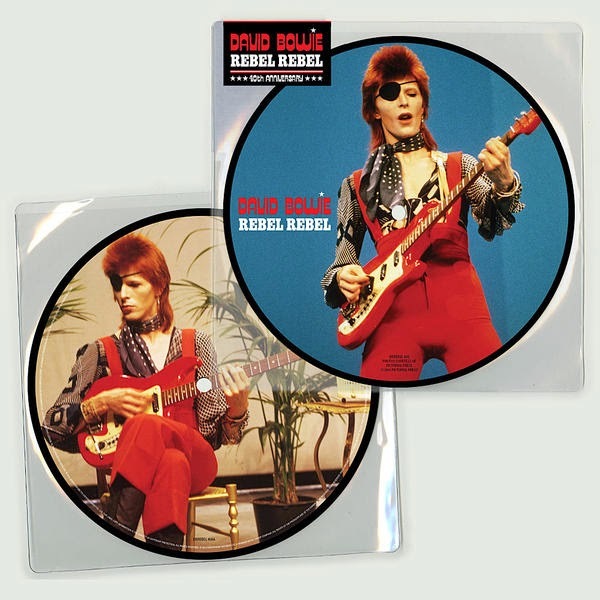 The "Rebel Rebel" picture disc is the seventh in the limited edition 40th anniversary series and will be released on March 10th.